Alape manufactures with exceptional craftsmanship washbasins and sinks made of glazed steel. The company’s skills in processing this particular material render the unique shape and flexibility of its design possibilities. 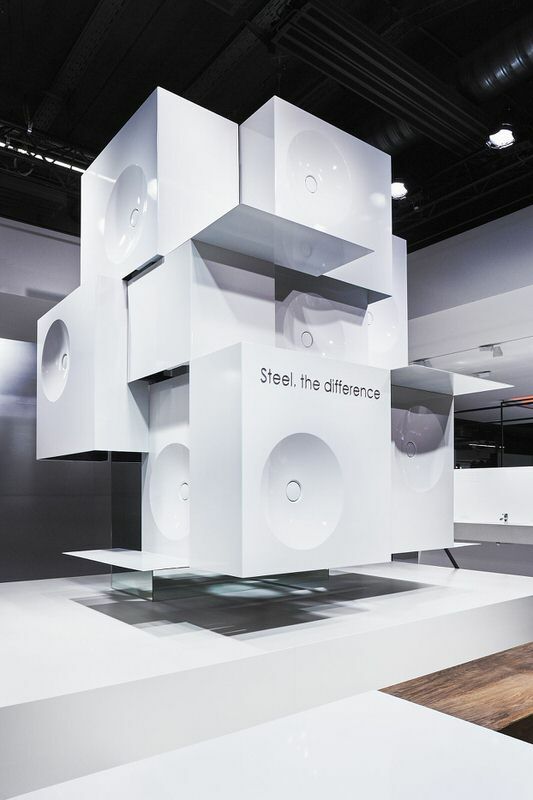 The confident demonstration of their own strengths, the uniqueness of steel and the extended product range defined the presence at ISH, the world's leading trade fair for bathrooms, energy and air conditioning. I was asked by Heine/Lenz/Zizka to redefine the brand (strategy) Alape and create a claim for their show on the ISH. What a sculpture! Chapeau.